Want to build your high quality Android app within just few days? Use this Figma design kit to accelerate your design process and complete tasks faster. 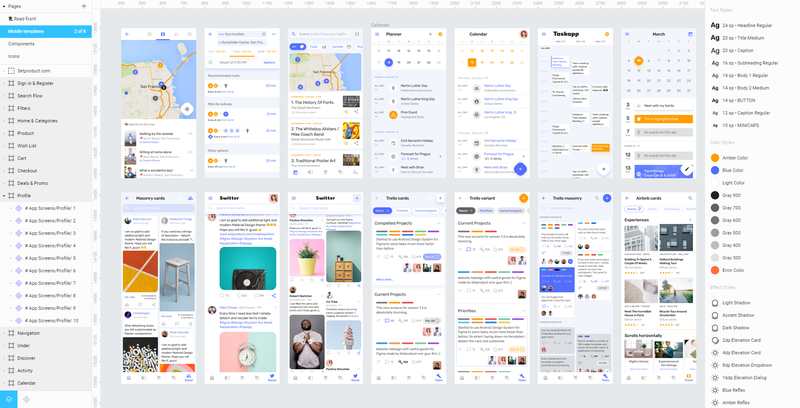 This kit was made as smart Design System for any mobile app. Crafted with attention to mobile usability, including frequent UX patterns and user flows. 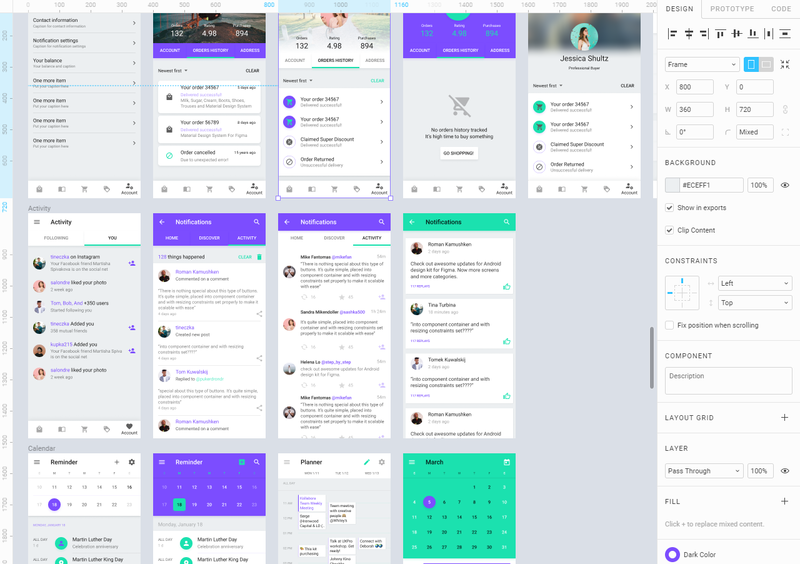 This smart library of components and application templates is ready to be published for your team to kickstart your next project Figma. Stop creating from scratch the same buttons, icons and modules along with every new project started. Use this huge library of predefined UI modules to complete your tasks faster. This system will let you dip into design process, learn or enhance prototyping skills. Use Figma ‘Instance’ feature to create layouts without design skills. No reason to edit pixels manually, unless you want to go deeper in customization. Simply equip your development team with this premade design system architecture and save time without building it from scratch. Release your apps faster by using this Material Design System core in advance. Last week plus few days I’ve been working on new material templates for Figma Android Kit. This theme was inspired by recent Google’s apps visual improvements, so I decided to create something similar but went out through my own vision of things. So, here’s the new skin for 140 high-quality Android templates more looking like iOS apps instead of classic Android. But as soon as the material.io library was upgraded with iOS react components I assumed it’s good to have a choice. A choice to start the prototyping right with clear, simple, useful theme full of little UI details. Complex & reflex shadows, thin almost invisible strokes and new shapes for FABs. And it based on Rubik font. And everything rapidly customizable because made of components!